You might make spring cleaning a regular practice, but what about fall closet organization? The changing of seasons poses the perfect opportunity to leaf through your clothes, sort out your shoe collection, and execute some much needed seasonal editing. Be warned, however: This can be a daunting task for style lovers who keep on top of trends (a.k.a. those of us with a lot of clothes). This is an endeavor best approached strategically. To help lighten the task, we’ve compiled some expert tips that we’ve used to restore order to our own wardrobes. When you’re ready to try them out, set aside a weekend—and a full-length mirror—for trying things on. When you’re done, you’ll find that getting dressed in the morning becomes a lot more fun! You’ll also have favorite feel-good pieces on hand, pairings in mind, and enough breathing room to snag some new styles in the months ahead. 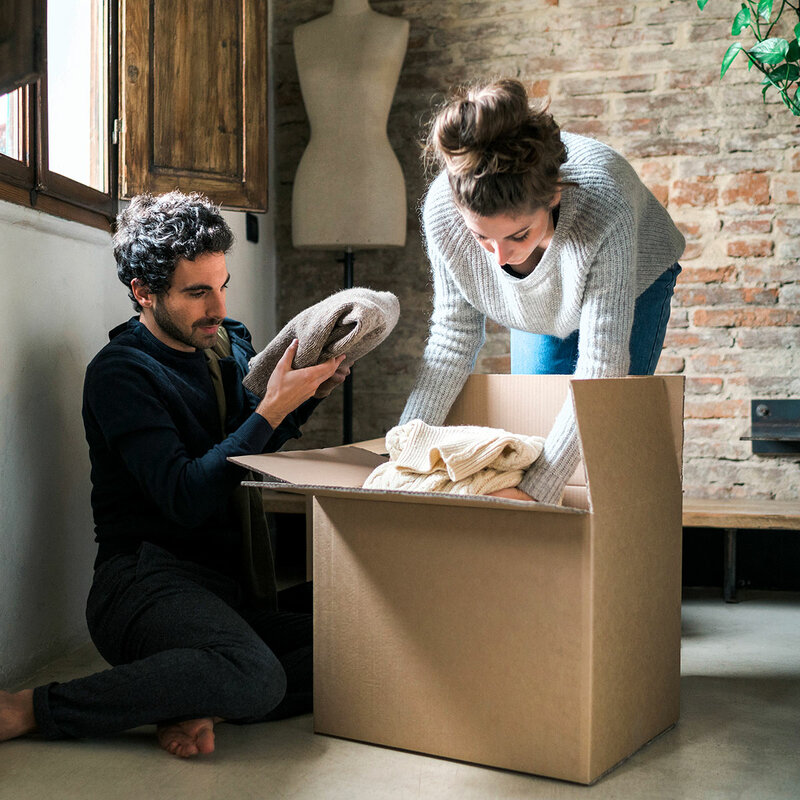 The first step in cleaning your closet is narrowing down the amount of clothing and accessories you have to choose from—and maintain. Go through each piece one by one and bag up items you haven’t worn in awhile for donation. When in doubt, let it go. If you routinely pass by a top when getting dressed, but have been hanging onto it because it’s “sensible,” toss it in the bag. Your closet should only house the things you really want to wear. At the end of this exercise, you’ll have a closet full of things you love. TIP: Keep a donation hamper or bag inside your closet to regularly toss things into. At the end of each month, go through and empty out the hamper. 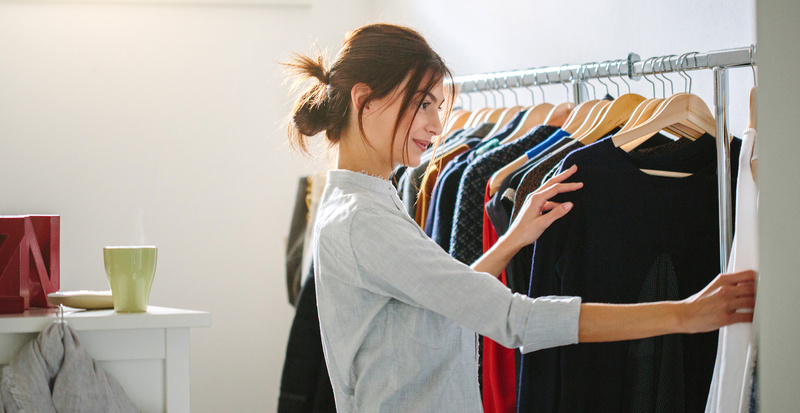 This will help you curate your wardrobe and make seasonal cleanout less of a task. 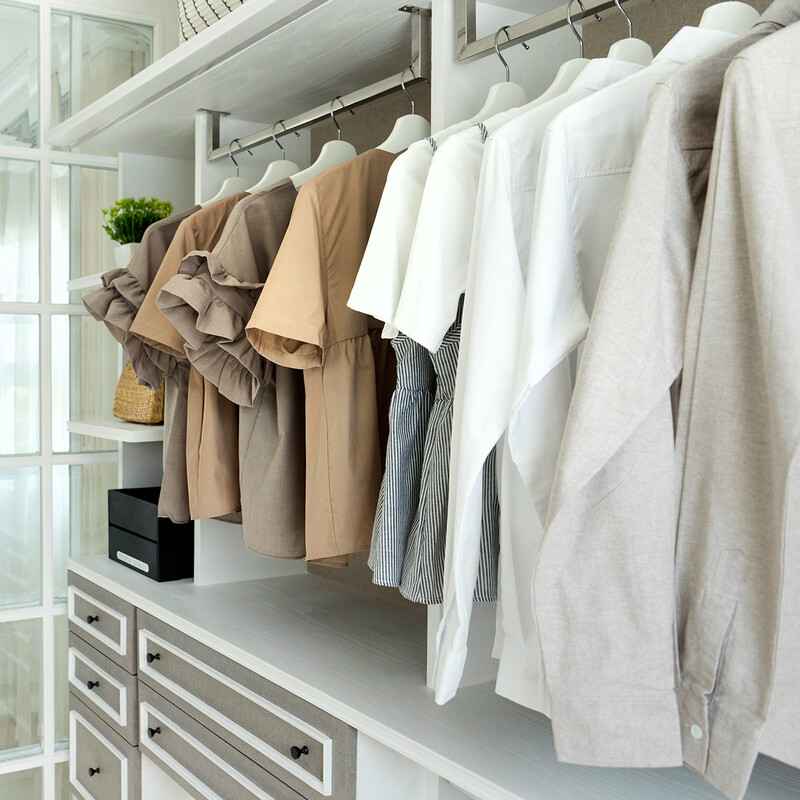 Is your closet currently organized, or is it in disarray? Getting ready in the morning and planning outfits ahead of time is a lot easier when you can quickly grab a certain top or bottom. Decide on an organizational system that works for you. It might be grouping like colors together, hanging garments from short to long, or simply dividing items by category. If you love outfit planning, you can even hang things according to potential pairings so you have an ensemble in reach at a moment’s notice. TIP: Hang all of your clothing in the same direction. Not only does this make your closet appear more orderly, but it makes your favorite items easier to find. 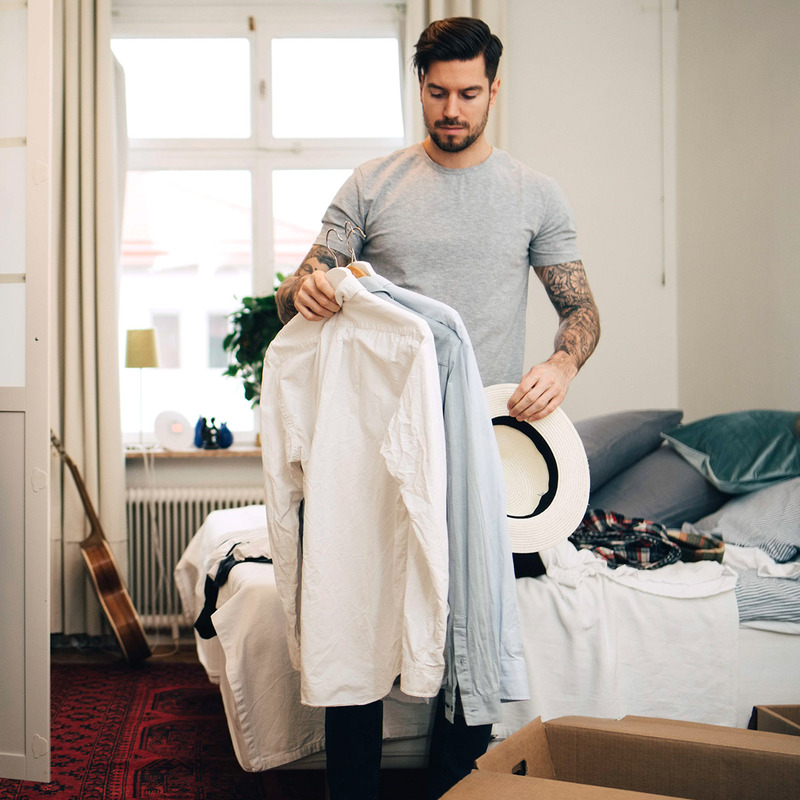 You’ll save time getting dressed in the morning and ensure future closet cleanouts are less time consuming, too. Ah, the ever important question. It’s essential to store clothing properly to avoid excess stretch and wear. Knowing which pieces to hang and which to tuck away in drawers is key to keeping an attractive, well-groomed closet going all year long. As a general rule, don’t hang clothing that can stretch and warp over time. 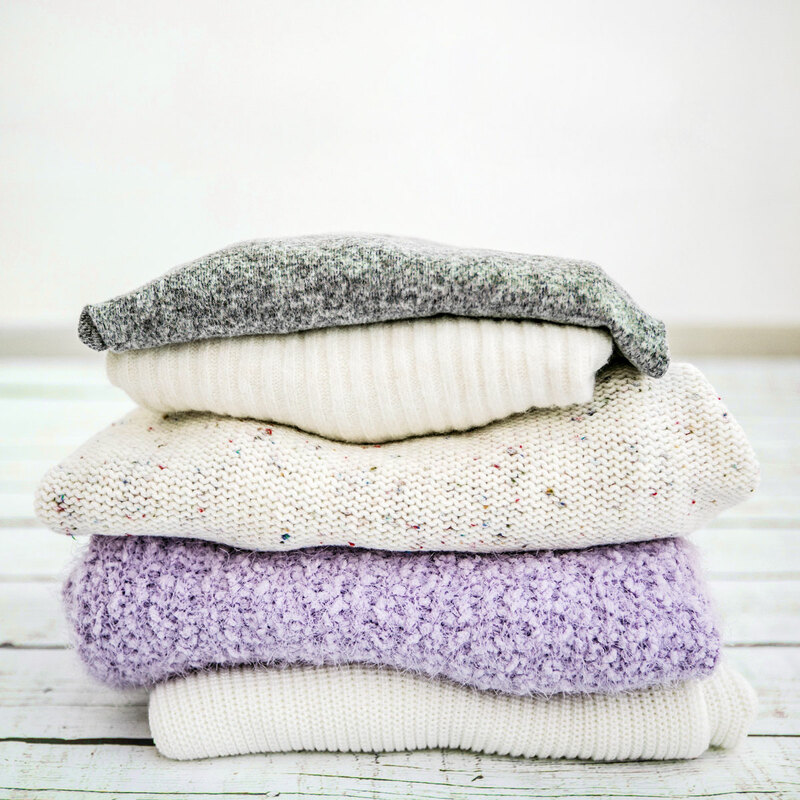 This includes virtually all sweaters and any clothing made in stretch-blend fabric. When hanging pants, hang them from the hem to avoid unwanted creases. TIP: Use padded or velvet hangers. The texture will keep clothing from slipping off and ending up in a crumpled pile on the floor—not how you want to find your favorite blazer when you’re getting ready for work. As much as you may love tropical prints in the summer, clothing that you only wear one or two seasons out of the year takes up valuable closet real estate. Store your seasonal items out of sight so you can fully enjoy your closet’s offerings for the current season. This will increase space (both physically and mentally) and help you keep clothes and accessories organized. Remember, however, that not all pieces are relegated to one season (you can wear white pants year-round, for example). TIP: When it’s time to put away your clothes for the season, be sure to pack them in breathable canvas garment bags. Avoid plastic dry cleaner bags or any other kind of casing that will trap in moisture. This will ensure your clothes are fresh and ready to wear when you unpack them later.